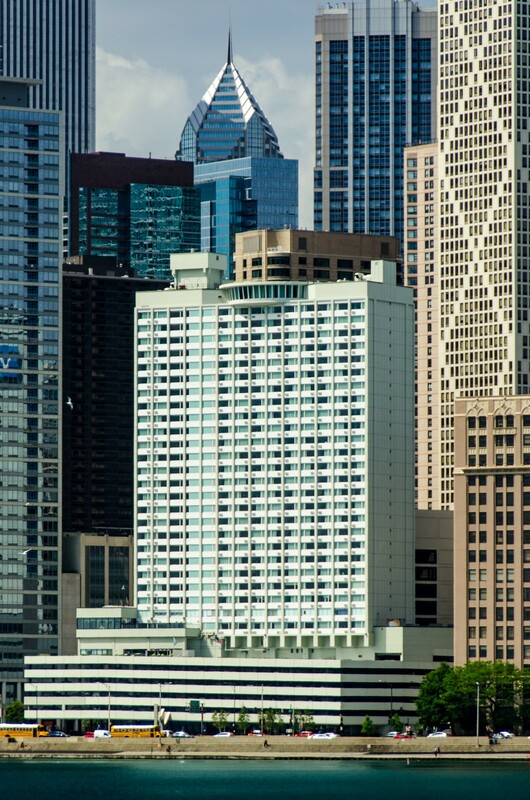 In 2014, this Mid-Century Modern hotel on Lake Shore Drive was given a complete restyle by interior design firm Meyer Davis. 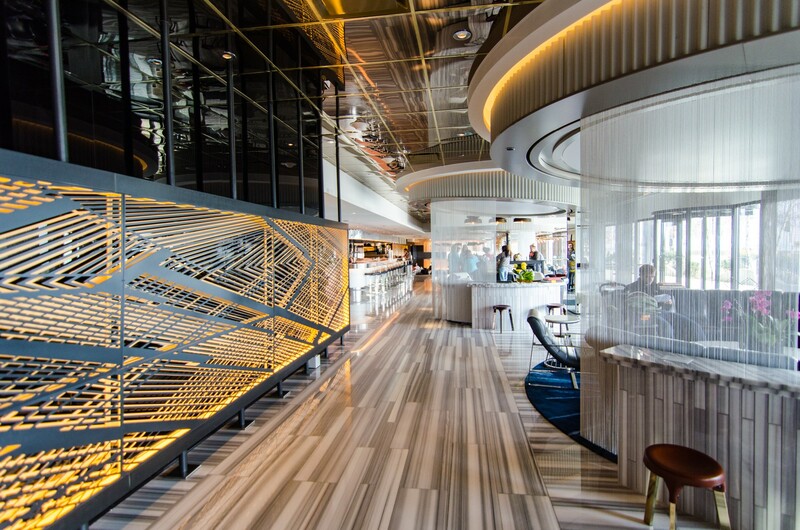 Its spaces were reconfigured to connect more strongly to the busy and exciting city on one side and the glittering escape of Lake Michigan on the other. 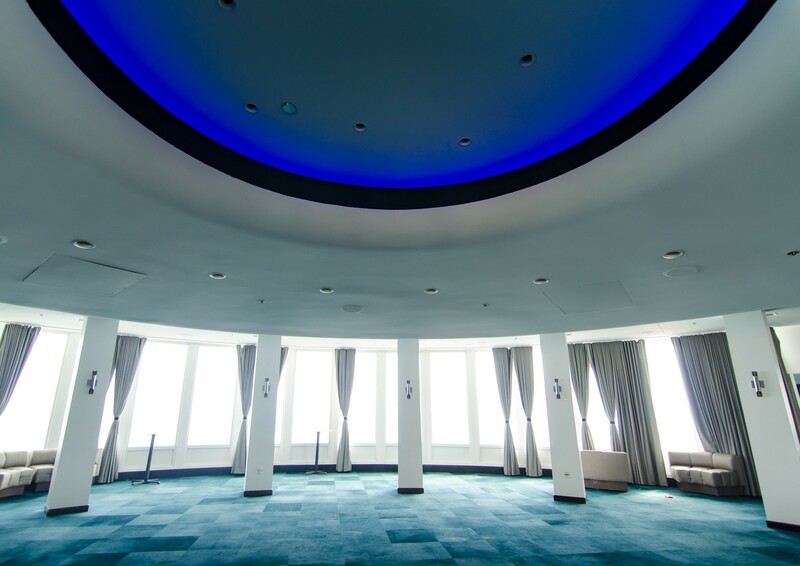 A circular motif links the bold lobby with one of the building’s most unique features, Altitude. 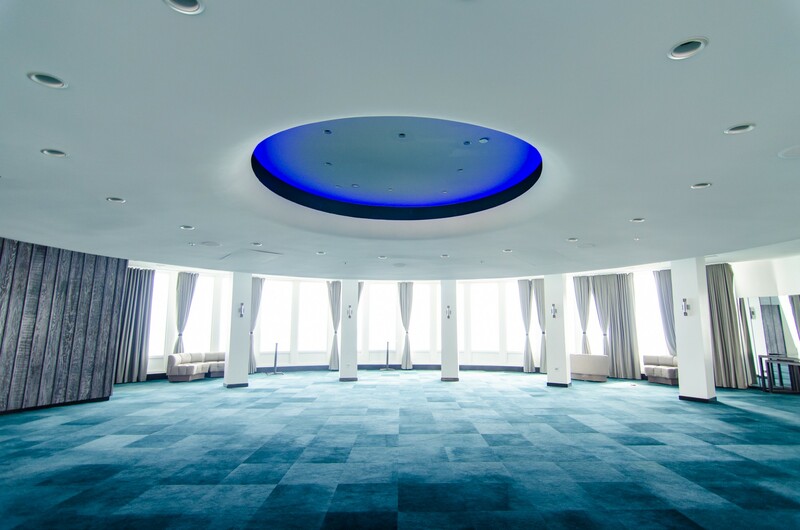 Altitude is a circular ballroom on the 33rd floor with fantastic city and lake views.